The Billibag will revolutionise your life, and look great while doing so! 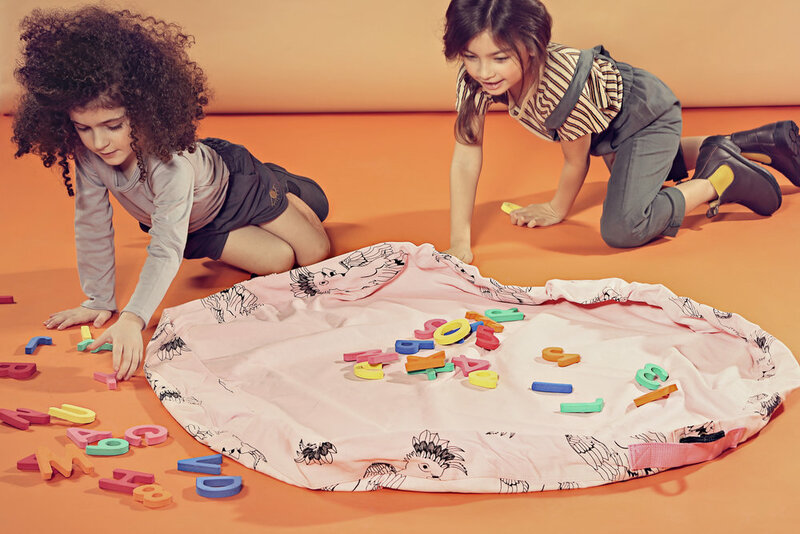 Billibag is a quick and easy solution for blocks, dress ups, toys, and anything else floating on the floor of your kids' room. You simply spread it out to fully open, play with your things, then drawstring it up and pack it away, easy, neat and tidy. Fill it with LEGO, DUPLO, wooden blocks, bricks, train sets, soft toys, take it on a sleep over with your pj's and your toothbrush, take it to the beach with your swimmers and towel, sunscreen and bucket and spade......there are endless possibilities for your Billibag!